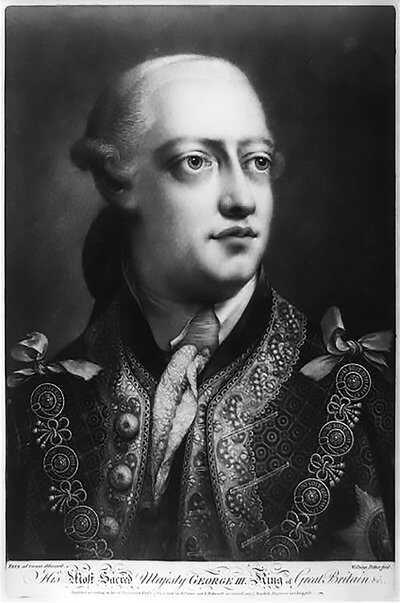 While the reigns of George I and II had been marked by a royal detachment from the administration of American colonies, King George III asserted his claim on the colonies strenuously. The king saw the relationship of Britain and America as that of a parent to a child. A disobedient child, of course, must be punished. 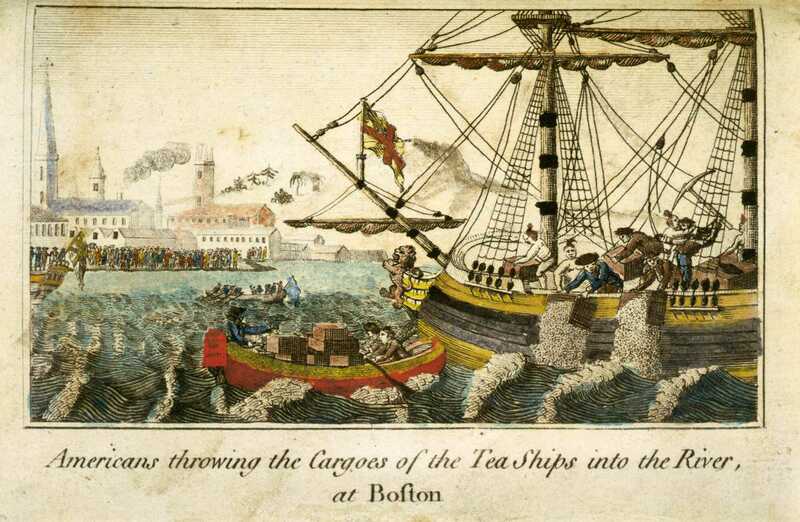 In 1773, when the colonists of Massachusetts staged the Boston Tea Party in Boston Harbor, Parliament, with the king's approval, hit the colony with the Coercive Acts (called the Intolerable Acts in America), which closed Boston Harbor and stripped Massachusetts of its ancient charter. The colonies united in the Continental Congress to protest the Coercive Acts. Two years later, the congress declared independence. 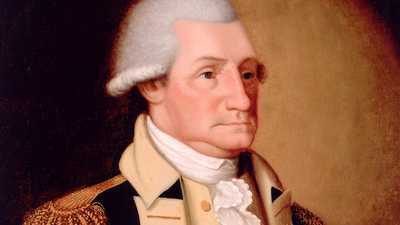 Early in 1776, King George consented to the hiring of thousands of Hessian mercenaries to assist the British troops already in America in crushing the rebellion. The Revolutionary War lasted nearly eight years, largely because King George refused to surrender the colonies. When the Treaty of Paris was signed in 1783, he considered abdicating. In many ways, George ruled England as he did the colonies, with punishment meted out for perceived disloyalty. 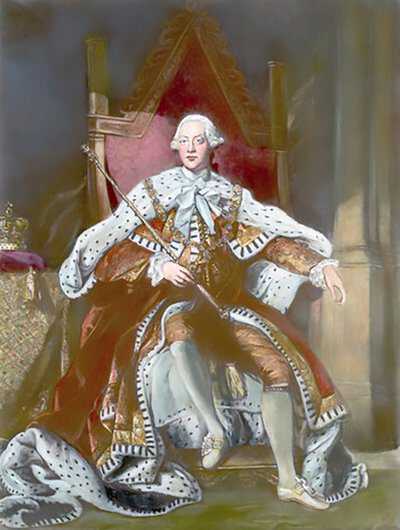 In 1760 he ascended to the throne at age 22, and the first 10 years of his reign were characterized by political instability. Prime ministers came and went quickly, often because they refused to capitulate to George on policy, but also because of increasing factionalism within Parliament. As a result, colonial policies were inconsistent; for example, the Stamp Act was repealed after only one year, but was followed by other taxes. The same was true with the Townshend Revenue Acts in 1767 and the Tea Act in 1773, which triggered the Tea Party. George was a contradictory character. The Whigs in Parliament called him an autocrat, and Thomas Jefferson branded him a plundering tyrant. But the private George was gentle and decent, although exceedingly strict. He strived to restore a high moral tone to the royal family. He was the first Hanover king not to take a mistress, and the English people admired his fidelity to his wife, Queen Charlotte. She and George had 15 children, more than any other English monarch. George pursued his eclectic interests avidly. "Farmer George" constructed model farms at Windsor Castle, sanctioned exploratory voyages to the Pacific Ocean, and collected model ships and coins. His vast collection of books and manuscripts provided the basis of the future British Museum library. But life for the king was far from idyllic. George's first attack of madness --actually the rare blood disorder porphyria, which caused severe abdominal pain, extreme perspiration, dark red urine, and seizure-like fits -- came early in 1765. (In 2003 DNA research conducted on strands of George's hair confirmed the centuries-late diagnosis.) 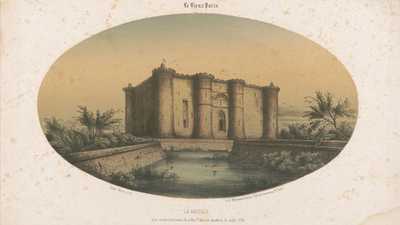 After 1788 the attacks began to escalate in frequency and severity. The "treatments" were brutal: straitjackets, chains and restraints, and James' Powders, which contained arsenic and only made the symptoms worse. By 1811 George could no longer function as king. His son George IV became prince regent and soon afterward began to suffer some of the same afflictions as his incapacitated father. In 1820, George III died at the age of 82, blind, deaf, and delusional. His 60-year reign remains the longest in the history of England's male monarchs. John and Abigail Adams wrote over a thousand letters to each other while John was away from home helping found a new nation.